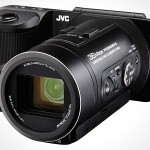 beyond its almost unpronounceable model name, the JVC ADIXXION Camcorder (GC-XA1) is actually an action cam that is ready to perform in virtually any environment out of the box. 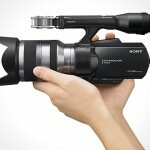 most action cams are cylindrical in shape and way more compact than the ADIXXION but that’s because the ADIXXION sports a 1.5-inch LCD built into the side of the camera and it is a full-feature video camera that is designed specifically to capture your sporting moments in eye-watering full HD resolution. 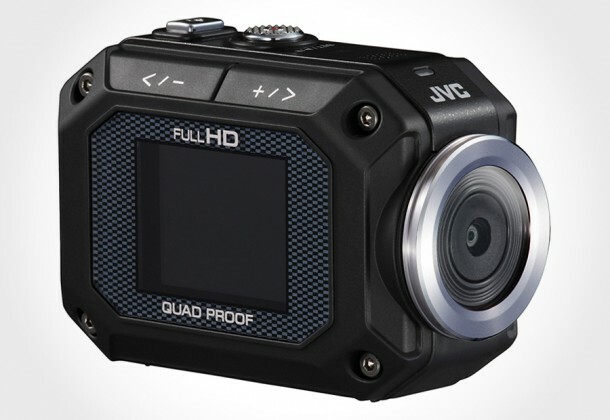 it has what JVC dubbed as “Quad Proof”, which simply means it can take a dip in the water down to 16.4 feet (5 meters), withstand a drop from up to 6.5 feet (2 meters), sealed against dust and freeze-proof. 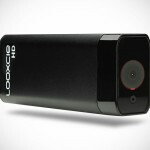 in short, the ADIXXION beckons you to take your video recording anywhere. ruggedness aside, it features a ultra-wide lens, 5x digital zoom, does 5 megapixel stills, digital image stabilization, rolling shutter cancellation, full HD 1920×1080/30p and 1280×720/60p recording, time lapse recording, self-timer function, built-in WiFi, built-in HDMI port, and two standard tripod sockets – all wrapped in a ruggedized body with scratch-resistant rubber that weighs a mere 0.28 lbs (126 grams). coming to you in late summer with a sticker of $349.95. 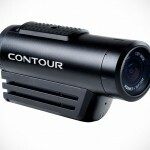 hit the jump for a gallery of the ADIXXION Camcorder.